Finished appearance of products may differ slightly from the finishes shown on our website product pages as a result of slight variations during manufacturing, and differences resulting from photographic representations. 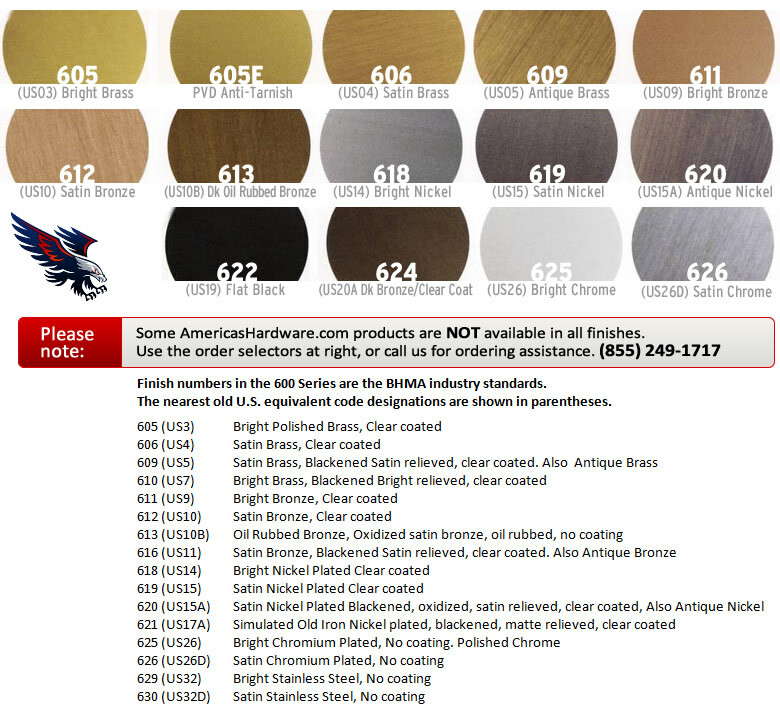 Some products are NOT available in all finishes. This depends on brand/manufacturer, product model and other variations. If you have questions please call us for ordering assistance at 855-249-1717.